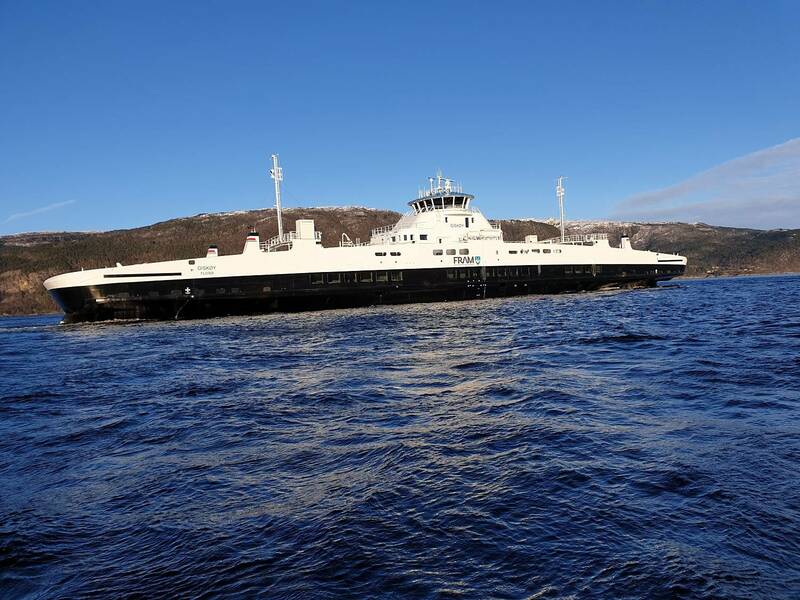 Havyard delivered the third battery-run ferry for the Hareid–Sulesund route to Fjord1. To ensure that the ferries run as energy efficient as possible, Havyard developed digital ferry models and incorporated them into a ‘digital Sulafjord’ made with unique weather data from the area. The Norwegian Public Roads Administration has invested more than $11.4m in measurement masts and buoys in the Sulafjord. These provide data about wind, current, temperature, wave height and wave length that Norwegian researchers have not previously had, and that provide a unique insight into a fjord. Havyard uses these data in its work on developing the new ferries that are set to cross the Sulafjord. R&D Manager Kristian Steinsvik said that they have used the data on weather, wind, currents and waves to digitally recreate the conditions in the Sulafjord. In this virtual test tank of a fjord, a digital model of the ferry was tested, among other things to optimize the shape of the hull. The process also includes variables related to the ferry’s operation profile with many and frequent dockings. The planned battery-operation of the ferries on the Hareid–Sulesund route will reduce CO2 emissions by about 90 percent when compared to them running on traditional fuel. This is a reduction of almost 8,000 tonnes of CO2 per year. 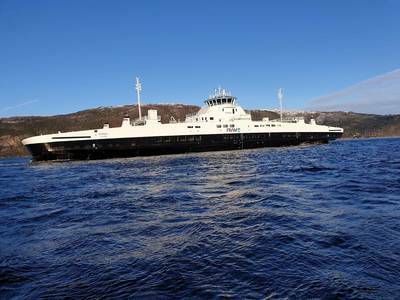 The ferries that are set to run the Hareid–Sulesund route this winter are the first three in a long line of ferries where Havyard Group has delivered the design, propulsion, bridge solutions and ferry construction. The ferry deliveries make Havyard the biggest and leading player in the green shift on the Norwegian fjords and thereby in the world. In the marine equivalent to the Paris Agreement entered into last spring under the IMO (the International Maritime Organization), nations agreed to halve the total marine greenhouse gas emissions by 2050. The ferries crossing the Sulafjord transport 120 cars with the same power drain consumption as eight or nine medium-sized electric cars.